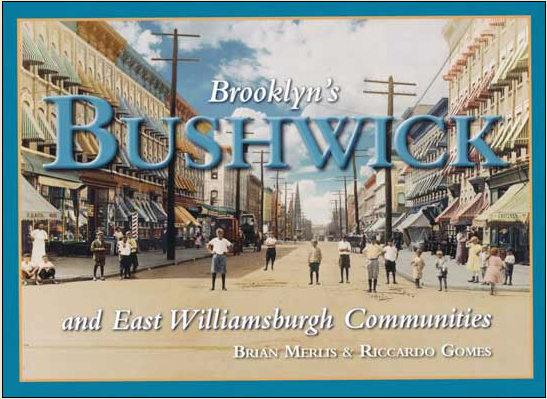 • Brooklyn's Bushwick and East Williamsburgh Communities chronicles the history of this famous New York City neighborhood from its initial 1660 settlement until modern times. Begun on an island in Newtown Creek as an isolated seventeenth-century Dutch and French outpost, what soon emerged as a farming community endured more than one murderous attack by the indigenous people. Over the next two centuries Bushwick transformed itself into one of Brooklyn's most beloved neighborhoods. It became German-America's brewing capital, and later home to one of our country's most-vibrant Italian- and later, Puerto Rican-American, communities. After experiencing a period of decline, Bushwick has made a remarkable comeback to become one of Brooklyn's hippest sections. • Profusely illustrated with HUNDREDS of maps, illustrations, and vintage photographs, Merlis and Gomes, authors of Brooklyn's East New York and Cypress Hills Communities (2010) take readers on another unforgettable journey back in time. A MUST for any collector. • 320 pages, nearly 4 pounds of history; printed on 100lb. glossy stock; sewn signatures!